Fairfax Firearms Repair builds revolving rifles on Magnum Research BFR. 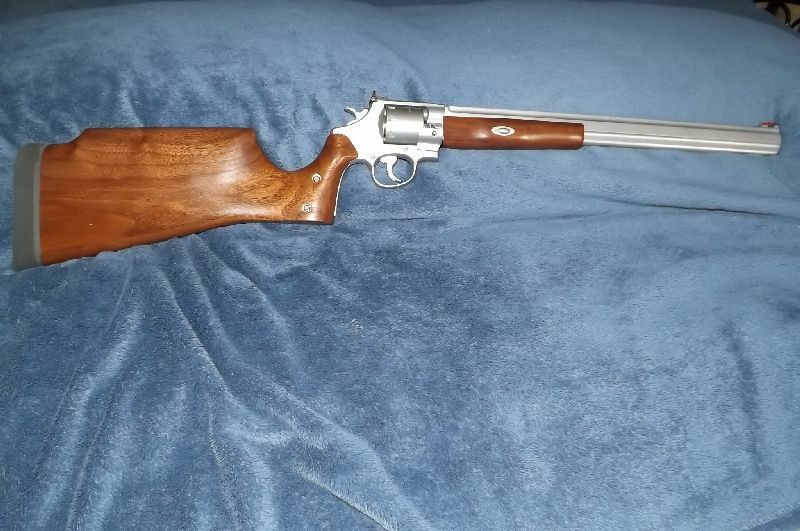 Ruger single action revolves as well as recreation of the S&W 320 and a great small rifle and plinker built on the Nagant revolver. 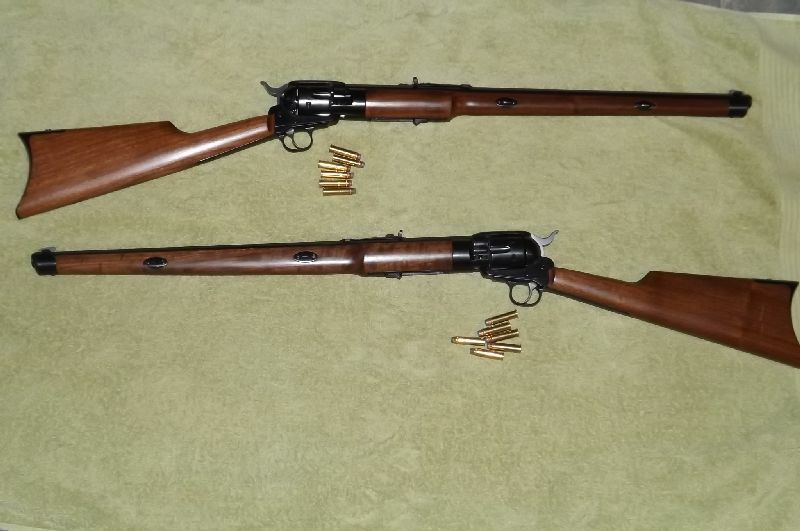 We can Build Revolving Rifles on double action revolvers as well, however, due to the complexity of most double action revolvers each request will be evaluated before a quote is given. The basic package for Revolving Rifles built on the single action revolvers will have a tapered round barrel in either 18” or 22” length. The buttstock and forearm will be of walnut with a modern finish. The buttstock will have a straight grip and the forearm will have an attractive Schnabel tip. All calibers are equipped with a gas deflector in front of the cylinder and combined with a cylinder gap of .003” completely reduces the side blast to a comfortable level. The basic package for rifles built on the BFR will have a tapered round stainless steel barrel 22” long with the same features as the other packages. The price of the basic BFR is $2000.00 if we supply the base revolver or $1200.00 if the customer supplies the base revolver. The basic package for the Nagant revolver will have a tapered round barrel 16.5” in length and buttstock and forearm of walnut stained hardwood with a polyurethane finish. The price of conversion is $400.00 if the customer supplies the base gun. If we supply the base gun the cost is $400.00 plus the cost of the base gun (market value). 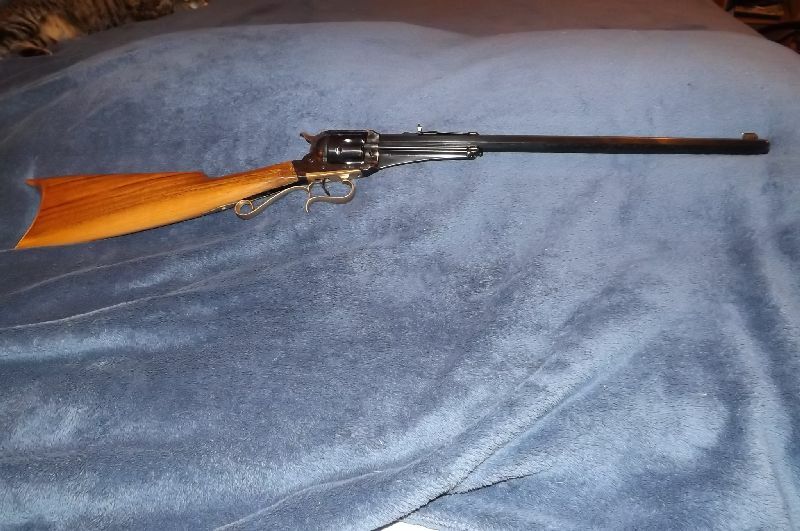 We also make a copy of the Smith & Wesson 320 rifle loosely based on the original. Our copy is built on the Schofield replica that is currently being imported from Italy. These are available with a barrel length of 16.5” in .38 special calibers. The buttstock and forearm are oil finished walnut. The sights are copies of the original open sights. The price of this Revolving Rifle dependent on the current price of the base revolver if we supply the base revolver. 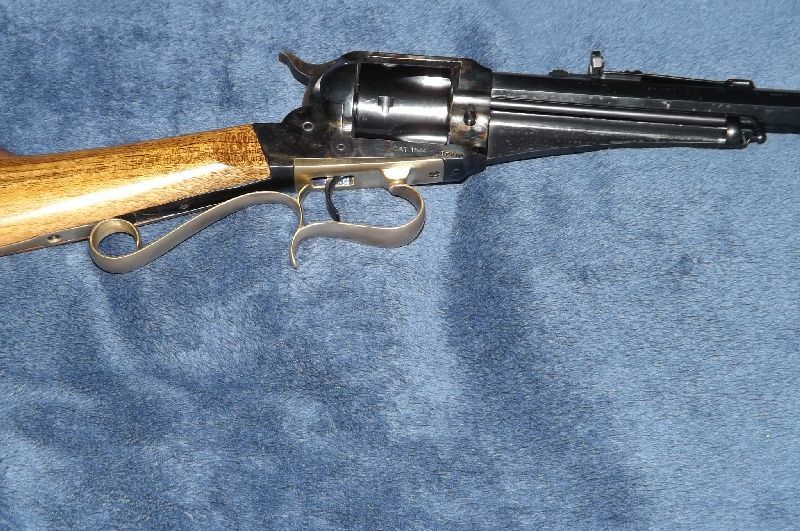 If the customer supplies the base revolver the cost will be $1600.00 for the conversion. If you have an idea for a revolving rifle project please let us know and we will give you an estimate.